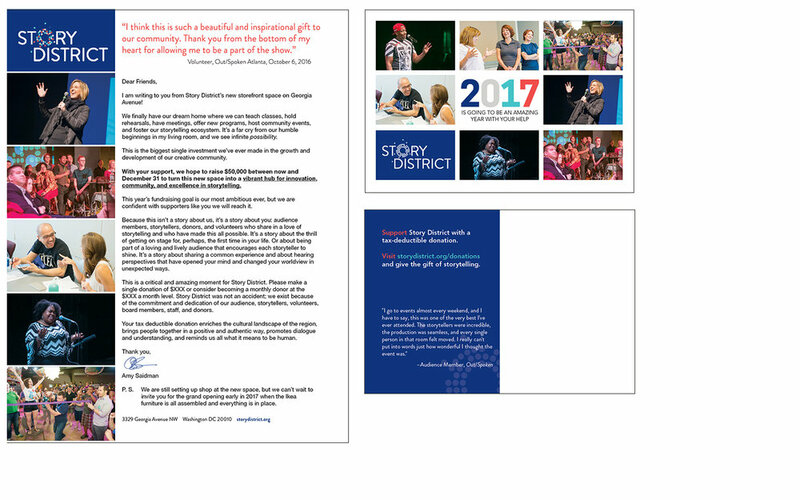 Story District — Nice Work Co. The revitalized visual identity—along with the implementation of media outreach and community engagement strategies—signaled a positive change to patrons and donors, fueling momentum for the organization’s future growth and new initiatives. Nice Work Company served as project manager on the rebranding effort, working with the storytelling organization and Neue Now, a DC-based design company, to shepherd the process of rebranding through the various channels of approval. 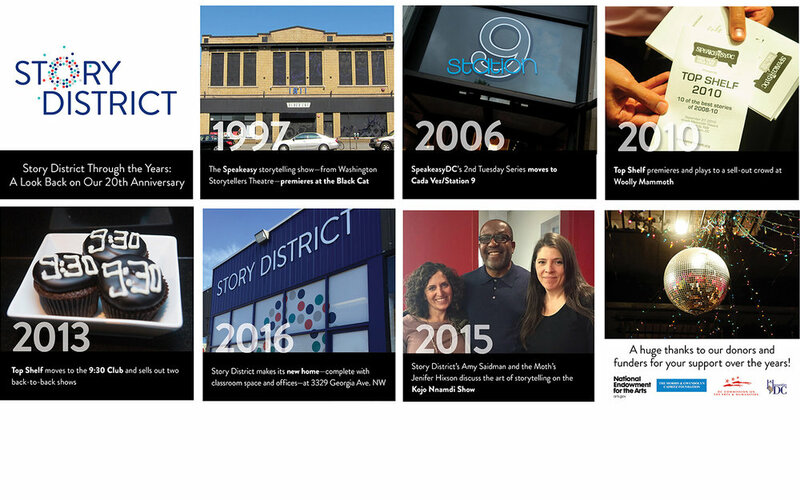 Relaunching under a new name, SpeakEasy DC became Story District and needed to develop its brand in a way that encapsulated and celebrated the organization’s mission, vision, history, and values. The revitalized visual identity—along with the implementation of media outreach and community engagement strategies—signaled a positive change to patrons and donors, fueling momentum for the organization’s future growth and new initiatives. Nice Work Company served as project manager on the rebranding effort, working with the storytelling organization and Neue Now, a DC-based design company, to shepherd the process of rebranding through the various channels of approval. Over time, Nice Work Company has provided additional design support to ensure consistency with the brand, including the creation of a sponsorship presentation and other print pieces.